If an organization does not change in response to the environment in which it is operating, it will ultimately fail. Just as people have to change and adapt according to their circumstances, so do organizations. 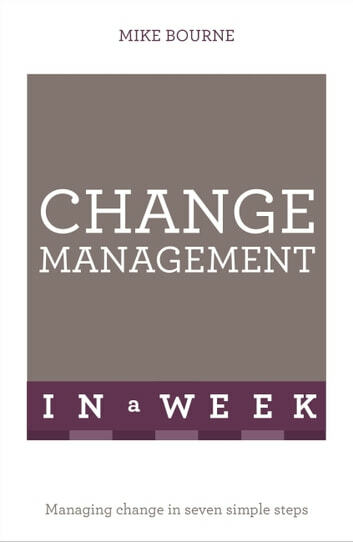 No one can deny that managing change is a difficult and sometimes painful task. It is complex and can be emotionally draining, involving a range of skills from project planning through to influencing those likely to be affected and ensuring that the appropriate actions happen. 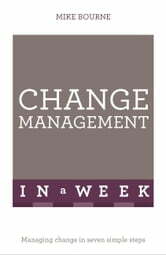 Difficult though it is, the ability to manage change is one of the critical skills needed by a manager. Anyone who wants to progress up the career ladder must be adept at instigating and managing change. This book concentrates on implementing change and ensuring that it happens. It is designed to help managers overseeing the whole change and those who are managing part of the process and trying to keep it on track. It will also interest people caught up in the change process, helping them to understand why certain things are happening to them.